The move this week wasn't much, but it was enough to earn Dolly the "Pace Setter" designation as having the CD with the greatest percentage gain in sales this week on the country albums tally. Backwoods Barbie moves up four to No. 69 in its 34th week, according to Billboard's Nov. 8 tallies released Thursday. Her 16 Biggest Hits slips two to No. 57 country in its 55th week. Four more concerts made the magazine's BoxScore box office list this week. The top earner was her Aug. 5 engagement in Berkley, Calif. The show grossed $280,000 with nearly 85 percent of the 4,200 available seats sold. Next was her Oct. 20 stop in Clearwater, Fla., that earned $224,000 with 88 percent of its 2,025 seats filled. Third was her Oct. 21 concert in Jacksonville, Fla., which had just 42 percent of its 5,841 seats sold and a gross of $149,000. Fourth was the $145,000 take from her Clarkston, Mich., performance, which had just 69 percent of its 15,274 seats sold, but that still made it one of her best-attended U.S. dates this year with more than 10,000 fans in the audience. Jessica Simpson's Do You Know, featuring Dolly on her title track, loses four to No. 24 country, 23 to No. 116 pop albums and 35 to No. 134 comprehensive albums in its sixth week. In Canada, the CD descends five to No. 16 country. Patty Loveless' Sleepless Nights, with her cover of Porter & Dolly's "The Pain Of Loving You," drops three to No. 42 country in its seventh week. George Jones' Burn Your Playhouse Down, with the Dolly duet "Rockin' Years," falls five to No. 75 country in its 10th week. Emmylou Harris' All I Intended To Be, featuring Dolly guest vocals on "Gold," slides five to No. 67 country in its 20th week. Brad Paisley's Time Well Wasted, with Dolly on "When I Get Where I'm Going," holds steady at No. 11 on the country catalog albums list and drops 16 three to No. 44 Canadian country. Kenny Chesney's Lucky Old Sun holds on at No. 1 country but falls three to No. 4 pop with 88,000 units sold in its second week, while Hanks Williams III sees Damn Right Rebel Proud debuts at No. 2 country, No. 18 pop with 20,000 copies moved in its first week. Thanks to Crystal for sending in some shots of Dolly backstage in Atlanta. Check them out here! And your next set of shots from Richmond, Ky., have been posted to that section of the site here. The next set of Dollymania images from Dolly's weekend benefit show in Richmond, Ky., has been added to that section of the website here, including the shot at left. Be sure to check them out, and more are still to come! Image is copyright © 2008 T. Duane Gordon/Dollymania.net and may not be reproduced without prior written consent. If you'd like a chance at a replica of the gift bag given to Dolly in appreciation for her Richmond charity appearance, In Touch magazine is promoting a contest to win the $3,000 package here. Thanks, Courteney! Check out some photos of some wild and crazy fans in Louisville in a little collection here. Thanks for sharing, gals! Dolly chatted about the tour, her Broadway musical and more with The Providence Journal in an interview posted here Wednesday. She plays the city on Saturday night (tickets are still available here). Look for Dolly to again address the recent rumor that she had died in an appearance on Great American Country's (GAC) Country Music Across America program premiering Thursday at 8 p.m. Eastern with repeats over the next couple of weeks. '9 To 5' Ticket Sales Start Wed. If you're an American Express cardholder, don't forget that your pre-sale opportunity for Dolly's 9 To 5: The Musical on Broadway begins at 10 a.m. Eastern Wednesday via Ticketmaster here. The pre-sales will continue through 10 p.m. Nov. 21. As was previously reported, seats will go on sale to the general public at 10 a.m. Eastern Dec. 1. Tickets will be available for performances from the start of previews April 7 to official opening night on April 30 all the way through Jan. 3, 2010. Thanks, Beth! Special thanks to Serena for sending a couple of shots from Louisville. Check them out here. Also, your next set of galleries from the weekend's appearance in Richmond, Ky., have been posted in that section of the site here. Security was tight, so no one has been able to send me any photos from the actual concert, but some fans got more than they bargained for when they took in the Dolly show Sunday night in Louisville. Although Dolly's concerts are usually a place where some of the most diverse crowds in the world get along without any difficulties, attendees tell me that this night audience members saw what was a bit of a brawl break out, forcing security to expel a handful of ticketholders. According to multiple eyewitness accounts, two "younger" guys, who were together, were seated behind two "older" guys with their wives or girlfriends. One of the younger guys was a little over-excited and jumped up and down a great deal during the show, also shouting for Dolly throughout the early parts of the show much more so than those around him. One of the "older" guys complained he couldn't hear the concert and confronted the "younger" offender. One witness reported seeing the man assault the concertgoer by placing his hands around the rowdy gentleman's neck in anger. All six individuals were escorted out of the venue by security, but a short time later, the two "older" guys and their female companions were allowed to return to their seats. The witnesses who spoke to Dollymania reported they did not see the disruptive but allegedly assaulted audience member nor his companion return. Other than the melee, I'm told the show was wonderful. As has been her decision of late, she again used her standard encore, "I Will Always Love You," and the crowd was reported as being quite energetic. 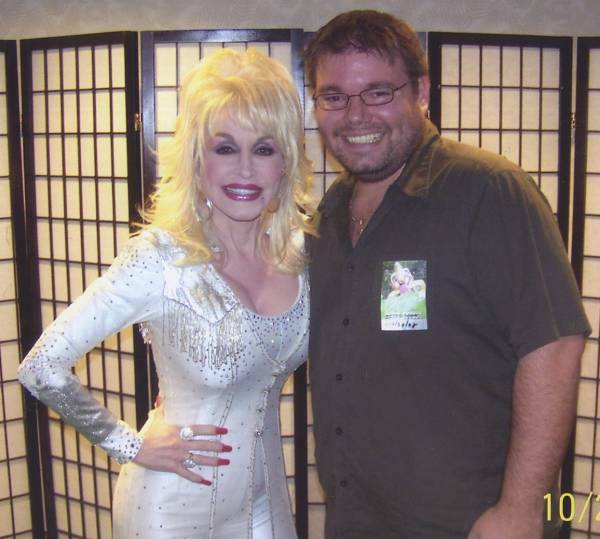 A Dolly fan who won a meet-and-greet (but declined to send her photo – come on, everyone will want to see it!) tells me Porter Wagoner's daughter was backstage and Dolly let out a big laugh when she saw her and heard her come in singing "Washday Blues." Also present was Dolly's niece Hannah. And one of the best descriptions of a Dolly concert I've ever read appeared about this show on the CMT blogs here on Monday. Thanks to Debbie Poole for providing the stunning photo of the theatre's exterior at left. Click on it for a larger view. 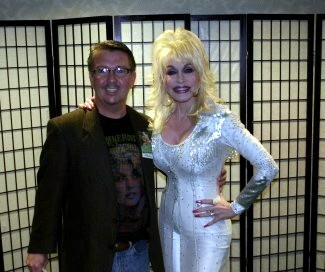 Check out a shot of Jason backstage with Dolly once again at the Louisville show here. The Richmond Register in Kentucky on Monday posted a review of her benefit concert there, opining: "If there is anything Dolly Parton cannot do, it is difficult to imagine what it could be." Take a read here. Your next set of Dollymania pictures from the evening have been posted to that section of the site here. After its debut week at No. 1 and four consecutive weeks at No. 2, Dolly's music video for "Shinola" from Backwoods Barbie slipped one digit last week to No. 3 in its sixth week on the Pure 12 Pack, an Internet-voted countdown on CMT's digital music channel, Pure Country. Vote for it in this week's competition here! Unfortunately, it has been removed from the Great American Country (GAC) Top 20 Country Countdown ballot here. Dolly fans may wish to check out an auction on eBay here, promising a Dolly-worn, Steve Summers-designed dress with proceeds to benefit the March of Dimes in Memphis, Tenn. As of press time Monday night, bids had reached $600, with the auction ending Tuesday. 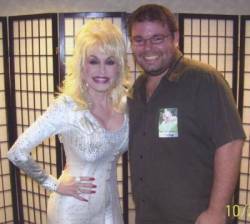 Dolly's record label website, www.dollypartonmusic.net, wants to see your pics as Dolly! The site has opened a new contest at DressLikeDolly.com where you are asked to share tips for impersonating Dolly and then after Halloween upload a photo of yourself done up as the icon for the holiday. A winner will be selected to receive an autographed Dolly CD and have his or her photo posted on the main site's news page. Entries will be accepted through Nov. 7. The news even made CMT's blog here on Monday. Dolly has entered the world of wireless communication politics. Although more than 100 recording artists recently signed a group letter asking the Federal Communications Commission to postpone a scheduled Nov. 4 vote which would open up some "white space" wireless communication bands between television station broadcasting channels for use by wireless telephones and computers, Dolly went a step further and sent the commissioners a very strongly-worded personal letter urging them to hold off on the vote. These bands have long been used for wireless microphones, and critics fear allowing companies such as Microsoft and Google to use them for phones and computers will cause interference with television signals and wireless microphones. She stated in the letter, filed Monday, that as a touring concert performer, she worries about the impact the action would have on her use of wireless technology on stage. She also cited concerns about adverse impacts on her business interests, including Dollywood and the upcoming Broadway show 9 To 5: The Musical, as well as The Grand Ole Opry, of which she is a member. In an unusual step for an entertainer who normally shuns any type of political stand, Dolly noted that the scheduling of the vote on the same day as the presidential election could be seen as an attempt by commissioners "to divert media attention" from the issue. She asked, as many others in the industry have recently, that commissioners issue a report on their plans and seek public comment before voting. "I am simply confounded that the FCC, a governmental entity created to assure the rights and interests of all Americans, has refused to allow the public to review rules affecting millions of people before the rules are put to a vote," she commented, later adding: ". . . interested parties have the right to absolute government transparency . . . Putting the fates of millions of people and the future of U.S. economic strongholds at significant risk simply to satisfy the demands of some of America's largest corporations is a dangerous and shortsighted answer to a highly complicated question." Coverage of her letter made Broadcasting & Cable here and TV Week here. Thanks, also, to Tony for locating her entire letter online here. Thanks to Chris for letting me know that Republican Vice Presidential candidate Sarah Palin has taken a page from Hillary Clinton's campaign book and is now using Dolly's "9 To 5" to enter and exit the stage at rallies. Clinton had used the song as one of her biggest campaign tunes for her appearances during the final months of the Democratic primaries in an attempt to connect with working class voters, and now it appears the "folksy" Palin is utilizing the same strategy. You just have one week left to cast your vote for Dolly in the Grand Ole Opry poll of which entertainer you'd most like to see for president. Vote here once a day until midnight Nov. 4! Your official Dollymania review of Saturday night's stunning benefit concert in Richmond, Ky., has been posted, including a few more photos from the evening's festivities, such as the shot at left. Access that new area of the website here. Look for additional exclusive galleries over the next few days to be added to that section! Image is copyright © 2008 T. Duane Gordon/Dollymania.net and may not be reproduced without prior written consent. In other concert news, the Backwoods Barbie World Tour rolled on to nearby Louisville, Ky., on Sunday night (no reports yet on how it went as of press time Sunday) before taking a few days off. With her Halloween night engagement in New Jersey cancelled, her next public appearance will be Providence Performing Arts Center in Rhode Island next Saturday for the venue's annual fund-raising gala. Tickets remain available at all price levels here. Finally, check out more backstage pics that Dolly-ite meet-and-greet winners were kind enough to send in. See Kevin with Dolly at her Jacksonville, Fla., stop here and Jim with her at the same show here. Thanks for sharing! Dolly will be the featured entertainer profiled in the next new episode of the TV Guide Channel program TV Guide Close Up, it was announced over the weekend. The show premieres at 8 p.m. Eastern on Nov. 8 and will feature an interview about her marriage, film career, music, Broadway musical and current CD. I haven't been able to dig up any other details about it yet, but Amazon and Best Buy both show that Sony imprint Legacy Records last week released Don and Dolly Greatest Hits, a new budget compilation disc featuring tracks from Dolly as well as Don Williams. Both stores are stating it is out of stock and are accepting backorders. Get yours from Amazon for $7.99 here! Thanks to Mike for alerting me that singer Josh Kelley appeared in recent days on the E! program Chelsea Lately and was asked about if he attends other artists' concerts. His response: "Every now and then. I saw Dolly Parton the other day which was unbelievable. My girl wanted me to go to Dolly Parton with her and I said sure, she's one of the best female songwriters of all time. So I went and she blew me away, she's very talented. She made me want to my style and the way I do my concerts." Here's a rare Saturday night Dollymania update (since I didn't have time to post an update for you Friday night)! A total of 1,600 fans sat enthralled and stood in cheers multiple times Saturday night as Dolly entertained them at St. Mark Roman Catholic Church's Evening Among Friends Encore performance in Richmond, Ky., to benefit the Breast Cancer Prevention Institute and St. Anne House for Mentally Challenged Women. The charity event featured a full Dolly concert, auction for autographed instruments and more. Twenty fans met her before the show (thanks to $700 meet-and-greet tickets that were snapped up as soon as they went on sale in January) and several enjoyed the concert up close and rockin', in $1,000-per-seat rocking chairs placed at the front of the stage (they were allowed to take their Dolly-autographed pink chairs home). 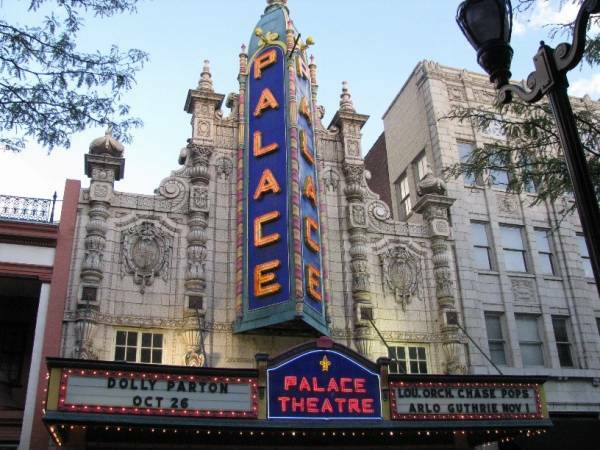 The event organizer, Father Jim Sichko, presented Dolly with some special gifts at the end of the evening and announced that December 2009 will bring Patty LaBelle to town for the next concert, a holiday affair to benefit the local Humane Society and another church. Look for a full review and several galleries of photos to come! Until then, click on the shot at left to enlarge your taste from the night's festivities. Dolly's Backwoods Barbie World Tour continues Sunday in Louisville, Ky., (tickets still available) before she takes several days off to head over to the East Coast. Image is copyright © 2008 T. Duane Gordon/Dollymania.net and may not be reproduced without prior written consent. The Very Best Of Dolly Parton, Vol. 1 hangs around another week in Ireland, dipping six to No. 50 in its 62nd week on the Irish pop albums chart, it was announced Friday. Although it keeps threatening to fall back off the 75-position country albums chart, Dolly's Backwoods Barbie remains on the tally again this week, gaining one to No. 73 in its 33rd week, Billboard's Nov. 1 numbers showed Thursday. Her 16 Biggest Hits holds steady at No. 55 country in its 54th week. Jessica Simpson's Do You Know, with Dolly singing on her own written title song, dips nine to No. 20 country, 22 to No. 93 pop albums and 25 to No. 99 comprehensive albums in its fifth week. In Canada, the CD loses two to No. 11 country and falls off the top 100 pop chart, down from No. 95 the previous week. Patty Loveless' Sleepless Nights, featuring her cover of Porter & Dolly's "The Pain Of Loving You," loses three to No. 39 country in its sixth week. George Jones' Burn Your Playhouse Down, including the Dolly duet "Rockin' Years," drops five to No. 70 country in its ninth week. Emmylou Harris' All I Intended To Be, with Dolly guest vocals on "Gold," inches down one to No. 62 country in its 19th week. Brad Paisley's Time Well Wasted, including Dolly on "When I Get Where I'm Going," loses four to No. 11 on the country catalog albums list and rises three to No. 28 Canadian country. Kenny Chesney's Lucky Old Sun debuts at No. 1 country and pop with 176,000 units moved in its first week, while Billy Currington's Little Bit of Everything debuts at No. 2 country, No. 13 pop. Thanks to Mike for alerting me to another upcoming Dolly guest appearance, at least as a writer. She composed the track "Holding Everything" on former Alabama front man Randy Owen's debut solo album, One On One, hitting stores Nov. 4. He performs it as a duet with Megan Mullins. It may not have caught on at radio yet, but Dolly's current single, "Shinola," is seeing its music video burn up the Internet. According to the latest chart in Billboard, the video was the fourth most-watched one on AOL Music for the month, logging in 303,396 plays. By comparison, No. 3 "Love Story" by Taylor Swift had 361,833 plays, No. 5 "Just A Dream" by Carrie Underwood had 282,761 plays and No. 2 "So What" by Pink logged 377,838. The video was still No. 4 last week on the site's chart, but fell off the top 11 this week in the new tally posted Thursday. The Oct. 25 issue of Billboard also has a profile of the very few country artists who have found success in touring overseas, with the charts showing Dolly topping them all. The magazine stated that of 15 Dolly U.K. shows last year and this year, a dozen sold out. Those portions of the two tours resulted in 132,758 tickets being sold (versus 135,639 being available) and grossing $16.4 million. In second place was Shania Twain's 2004 U.K. tour. Although she played to more fans (170,973 over 14 shows, three of which sold out), she grossed only $12.85 million in ticket sales. Also, Dolly's actual numbers are significantly higher because the totals only reflected concerts for which the promoters reported the ticket sales to the magazine's BoxScore chart, and not all concert promoters choose to report their audiences and grosses to the magazine. During this period, she had six additional shows, all of which were sell-outs, that did not report to BoxScore and, consequently, were not included in the totals. In 2007 and 2008, she played 21 dates in the United Kingdom and sold out 18. There were 11 in England (9 sold out), 4 in Scotland (4 sold out), 2 in Wales (2 sold out), and 4 in Northern Ireland (3 sold out). Dolly's Backwoods Barbie World Tour got a couple more mentions on Thursday. In advance of coming to nearby Richmond, Ky., on Saturday night for her sold out benefit concert, Kentucky.com in Lexington commented on her recent e-mail Q&A here, and South Coast Today in New Bedford, Mass., profiled her upcoming Rhode Island benefit show here. Between those two engagements, she also plays Louisville, Ky., on Sunday night, but before that, the tour rolls into Atlanta for her second date in that city this year (she played a sold out crowd there in April on the tour's first leg). Your webmaster will be taking in the charity show in Richmond this weekend, so I don't know if there will be time for a Friday evening update or not. Yusuf Islam, the artist formerly known as Cat Stevens, has been denied entry into another country, Time reports. The singer-songwriter was personally invited by the president of Israel to perform at a peace concert in that nation, but security officers refused to issue a visa for his admission over concerns he once made a contribution to Hamas. The magazine also recalls in the story his deportation from the U.S. over terrorist concerns in 2004 when he was mid-flight to visit Dolly in Nashville. Read more here. The U.S. travel ban has since been lifted, but the incident inspired his upcoming CD, Boots And Sand, which will come out next year and feature a Dolly guest appearance. Thanks to Ryan for alerting me that Dolly's Unlikely Angel will be shown this holiday season on ABC Family as part of its "Countdown to 25 Days of Christmas." The movie will air at 9 p.m. Nov. 24 and 3 p.m. Nov. 27. The choice in this election is clear. People of taste and conscience with a heart and soul can only make one possible selection when they vote for president. Anyone who votes differently has no value in my opinion. I'm speaking of the Grand Ole Opry poll of which entertainer would you most like to be president, of course! Dolly made the top six artists, and they're promoting her "candidacy" with the icon below. Click on it (or click here) to cast your ballot for her. You may vote once a day from your computer every day until midnight on Election Day, Nov. 4. So, as the saying goes, "Vote early and vote often!" The Florida Times-Union in Jacksonville says Dolly wowed the crowd at her concert in the city Tuesday night, saying even though the audience was quite small, she "didn't disappoint." The critic cited her "gorgeous performance" of the tune "The Grass Is Blue" as the evening's "Wow moment." Read the full review here. In other concert news, tour site Ticket News on Wednesday covered the surprise cancellation of her Halloween night show in New Jersey here, and it also got a brief mention in Newsday here. And thanks to Vince for sharing his picture with Dolly backstage at her Clearwater, Fla., show at left. Dolly's Imagination Library early childhood literacy program is coming to a couple more counties in Texas, The Marlin Democrat reports here. The program is entering Falls and Robertson Counties. Another blow for fans in New Jersey came Tuesday with the unexpected announcement that Dolly's Halloween engagement at the New Jersey Performing Arts Center in Newark has been cancelled. In a statement, the news was attributed to "an unforeseen change in Dolly Parton's personal schedule," adding that she regrets the inconvenience to fans. The show was originally scheduled for the Izod Arena in East Rutherford, N.J., but was moved to the other city just over a month ago. No reason was ever publicly given for the shift. The latest cancellation was even more surprising, given that Dolly had joked the previous night at a Florida concert that she expected to look out from the stage on Halloween night and see a hall full of people in costume as either her or Sarah Palin. This weekend's benefit concert in Richmond, Ky., officially sold out on Tuesday, organizers confirm. It marks just the second sell-out of the Backwoods Barbie World Tour's final leg and the 10th American sell-out of the eight-month tour. Eight of the tour's 17 European stops sold out, though. Several more meet-and-greet contest entry dates were announced Tuesday for members of the Dolly-ites online fan community for Dolly's record label website, www.dollypartonmusic.net. They are Wednesday for her Sunday concert in Louisville, Thursday for her Rhode Island performance on Nov. 1, Nov. 10 for Milwaukee and Nov. 12 for Des Moines. Dolly's Clearwater, Fla., tour stop on Monday earned raves from The Tampa Tribune here, which said "You could feel the love in packed Ruth Eckerd Hall" and "age has not changed her clear, strong voice, which remains impressive." Tampa's Creative Loafing, on the other hand, offered a mixed review, saying here that she was kitschy and that although the crowd "gobbled it up like it was cotton candy," her stories seemed to be a little too long for the critic's taste and her band and arrangements drowned out the simplicity and texture of her songs. Fans who attended, though, tell me the show was spectacular. She did move the order of some songs, though, including putting "Jesus & Gravity" in the second set instead of her encore, going back to using "I Will Always Love You" for that final spot. And thanks to Jody for sending in his photo at left of meeting Dolly before the concert (click on it for a larger view). Thanks, as well, to Sharon for sending in some shots from Orlando. View them here! Check out a cute little two-minute Dolly segment this week from FOX News here talking about the tour, the musical and more. Don't look for Dolly out on the road next year, as she won't be touring. Confirmation of what many fans suspected came this week, hidden a bit in an interview here with Florida Today. At the end of the Q&A which was posted late Sunday night, Dolly said she'll take 2009 off from touring, "other than a charity show or two." Chatter has surrounded whether any additional dates would be coming for next year since her management ceased a few months back referring to her current outing as the "2008-2009 Backwoods Barbie World Tour" and instead began calling it just the "Backwoods Barbie World Tour." Meanwhile, the tour rolled into Clearwater, Fla., on Monday (no reports yet as of press time Monday night) and continues to Jacksonville on Tuesday. Her record label website, www.dollypartonmusic.net, on Monday revealed entry dates for several more meet-and-greet contests for members of its Dolly-ites online community: Oct. 27 for her Nov. 2 stop in Connecticut, Oct. 29 for Nov. 6 in Norfolk and Oct. 30 for Nov. 7 in Reading, Pa. (The Oct. 28 entry date that week for the Nov. 5 Raleigh performance had been previously announced.) And The Virginian-Pilot on Monday previewed its upcoming Dolly interview with a couple of excerpts here. 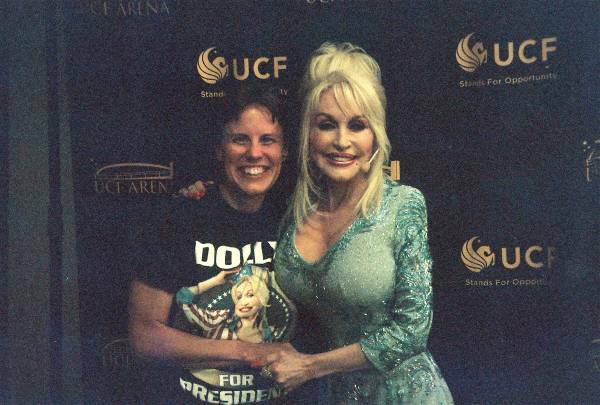 Thanks to Mary, who met Dolly in Orlando and sent in her photo at left. Click on it for a larger view! Dolly's music video for "Shinola" from Backwoods Barbie once again remained at No. 2 on the Pure 12 Pack, the Internet-voted countdown on CMT's digital music channel, Pure Country, making last week its fourth consecutive week in that spot. The only week in its run when it wasn't at No. 2 was its debut, when it sat at No. 1. Vote for it here! Also cast your ballot on the Great American Country (GAC) Top 20 Country Countdown here! Another site is looking forward to Dolly's 9 To 5: The Musical on Broadway. Check out the plug from After Ellen here, which also promises an upcoming interview with Dolly's creative partner in the show, scriptwriter Patricia Resnick. My friend Christian, who runs Country Stars Central, asked me to pass along word that his site is back up and running after experiencing some technical difficulties for a few days. America's Backwoods Barbie was back on the road this weekend, resuming her world tour with shows Friday in Boca Raton and Saturday in Orlando. The tour continues in Florida Monday in Clearwater and Tuesday in Jacksonville before heading to Atlanta, Ga., on Friday and a benefit show in Richmond, Ky., Saturday. Large groups of fairly good seats remained available as of Sunday for all shows except for the Kentucky engagement, for which only a handful of single-seat tickets are left. In Boca, I understand her set list (available below) was the same as her most recent concerts, in August at Dollywood, with the exception that the mid-concert intermission returned and "Great Balls Of Fire" and "Puppy Love" were removed from the performance. As usual, she played guitar on "Drives Me Crazy," dulcimer on "Shattered Image," penny whistle on "Only Dreamin'" and piano on "The Grass Is Blue." I understand she mentioned that she, Linda Ronstadt and Emmylou Harris recorded several songs that didn't make their Trio projects and that they would be released soon, although more details weren't noted. She also didn't give any indication of when she plans to return to the stage after her last scheduled date in November, commenting that following that show she'll be off the road "for a little while." She repeated her Sarah Palin AK-47 joke, adding that she personally can't really shoot one, and throwing in a new one about putting "lipstick on a Pentecostal." Some media praise came from The Miami New Times here ("Better than any faith healer I've ever met") and Palm Beach Post here ("promised the people two hours of fun . . . certainly more than delivered on that promise.") The latter paper on Sunday posted a slew of great photos from the show here. I understand that a few hours prior to the Boca show, those enjoying nearby shops were given a thrill when Dolly participated in a sound check and they could hear her on stage, and many of them came outside to listen. She sang parts of "Two Doors Down," "Why'd You Come In Here Lookin' Like That," "Jolene," "Thank God I'm A Country Girl" and "Backwoods Barbie" as well as practiced a few lines of her stage banter and blocking on where she was supposed to stand when (fans who gathered outside a makeshift fence on the border of the outdoor arena were allowed by security guards to stand there during Dolly's warm-up, but they made them put away their cameras, I'm told). On Saturday, she added "Baby I'm Burning" back into the mix as the opening number for the second half in Orlando. The Orlando Sentinel said here her performance "sparkled" and that the evening "showed that the woman in the rhinestones is a genuine treasure indeed." Brevard County's Florida Today offerd a Q&A with her here on her life and career. Thanks, Todd, Toni and Catherine, for the details! The Very Best Of Dolly Parton, Vol. 1 inches down one this week to No. 44 in its 61st week on the Irish pop albums chart. 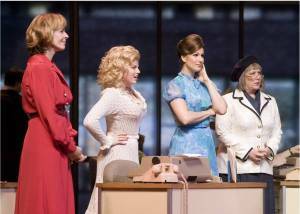 Dolly's 9 To 5: The Musical wrapped up its Los Angeles run Sunday after charming audiences there for the past several weeks. The show will return in April for previews on Broadway before its April 30 official opening in New York. Read a brief about it from Playbill here. With the resumption of Dolly's Backwoods Barbie World Tour Friday night in Boca Raton, the Florida press focused on Dolly. According to reports, media reps who had requested interviews were asked to submit their questions via e-mail and were told to expect a recorded audio response from Dolly. Instead, a mass e-mail was sent to several papers answering all of the questions that had been asked. Read it in its entirety from The Orlando Sentinel here, since she'll be in the city on Saturday night (tickets remain available). A couple of the answers made a story in The Jacksonville Times-Union here in advance of her show there on Tuesday. The South Florida Sun-Sentinel re-ran an interview that had appeared in The Sacramento Bee here, and The Miami Herald profiled Friday's Boca engagement in its weekend calendar here. In another state, The Virginian Pilot here promises an interview to come soon. She plays Norfolk on Nov. 6. And up in Rhode Island, where she's playing a benefit show on Nov. 1, TV station WPRI is giving away tickets here, and a local talk radio station is hosting a Dolly sing-off next weekend to win tickets. Click here for more information. Dolly has yet another guest spot coming up, Vince Gill revealed in an interview that ran Friday in The Modesto Bee in California here. He spilled the beans that he and Dolly just recorded a duet of "Pretty Flowers," a song on an upcoming CD of banjo music by comedian Steve Martin. It is one of three songs with vocals that are slated to appear on the album, although a release date has not been announced. He called the tune "really sweet and just a joy." The New York Post on Friday revealed a little more on the timing problem for the Broadway opening of Dolly's 9 To 5: The Musical, saying part of the delay is the brother of the Marquis Theatre's owner booking a Chinese circus this spring, which pushed back the date when the show could begin getting set up in the venue. In addition, the paper said, Waiting For Godot was not originally scheduled to open on April 30, the date which conflicts with Dolly's musical. Instead, the theatre hosting it had booked a different show to open on that night and later changed it to Godot, which has helped open some wounds with commercial producers on The Great White Way who complain about opening night reservation rules that apply to them but not to nonprofit theatres like the one hosting Godot. Read more of the debate here. In related news, The Herald Tribune in Sarasota, Fla., reports here that a local film production firm has been hired to rework animation for the Violet fantasy sequence in the Broadway version of the show, and Ohio's Dayton Daily News covers the involvement in the show of two of its city's natives, star Alison Janey and ensemble member Tory Ross, here. The current Dolly album, Backwoods Barbie, manages this week to hold on a little while longer on the country albums tally, Billboard reported Thursday. The title slips six to No. 74 on the 75-position Oct. 25 chart in its 32nd week. Her 16 Biggest Hits loses three to No. 55 country in its 53rd week. Jessica Simpson's Do You Know, featuring the Dolly-composed title track with Dolly harmony, falls four to No. 11 country, 15 to No. 71 pop albums and 17 to No. 74 comprehensive albums in its fifth week. In Canada, the CD dips four to No. 9 country and 25 to No. 95 pop. Patty Loveless' Sleepless Nights, with her version of Porter & Dolly's "The Pain Of Loving You," descends three to No. 36 country in its fifth week, falling out of the top 50 Canadian country albums, down from No. 46 the previous week. George Jones' Burn Your Playhouse Down, with Dolly on "Rockin' Years," loses 9 to No. 65 country in its eighth week. Emmylou Harris' All I Intended To Be, including Dolly on "Gold," falls four to No. 61 country in its 18th week and out of the top 50 Canadian country albums, down from No. 42 the previous week. Brad Paisley's Time Well Wasted, featuring the Dolly duet "When I Get Where I'm Going," drops three to No. 7 on the country catalog albums list and four to No. 31 Canadian country. Tim McGraw's disavowed Greatest Hits 3 debuts at No. 1 country and No. 9 pop with 44,000 copies sold in its first week, while Sugarland's Love on the Inside holds steady at No. 2 country in its 12th week and rises two to No. 20 pop. Next year's Broadway premiere of Dolly's 9 To 5: The Musical is already stirring up a little controversy. The New York Times reports here that its new April 30 opening date, timed to coincide with the latest opening performance to make a show eligible for the 2009 Tony Awards, is the same night as the opening of a revival of the classic play Waiting For Godot starring Nathan Lane. Typically, if two shows open on the same night, one of them moves its opening so it doesn't draw audiences and media attention away from the other, but there are no indications that this will happen in this instance. Dolly's producer says time constraints prevented an earlier opening (it was originally scheduled for April 23) but he doesn't think the double-show premiere night will hurt either production. Meanwhile, Megan Hilty gets a profile in The Los Angeles Times here about working on Wicked, then Dolly's show in L.A., then back to Wicked, then on to New York for Dolly's show again. Image at left of Allison Janey (Violet), Megan Hilty (Dorolee), Stephanie J. Block (Judy) and Kathy Fitzgerald (Roz) in the show is a publicity image by Craig Schwartz and courtesy the Ahmanson Theatre. Click on it for a larger view. The fall leg of Dolly's Backwoods Barbie World Tour kicks off Friday in Boca Raton, where plenty of seats remained available as of Thursday evening. (You could even get them half-priced if you are willing to buy them in groups of four tickets.) The concert, and her current CD, got plugs from The Miami New Times here on Thursday. The tour moves to Orlando on Saturday and then continues through November. Dolly will appear on next year's new CD by singer-songwriter Yusuf Islam, formerly known as Cat Stevens, whom she has called her favorite performer. USA Today reported here Thursday night that Dolly, Paul McCartney, Alison Krauss, Gunnar Nelson, Terry Sylvester and The Royal Opera House of Covent Garden Singers will all peform on Boots And Sand, which was inspired by his 2004 deportation from the United States while on his way to Nashville to record some songs as well as, according to published reports, to meet Dolly. The two later collaborated on Dolly's cover of his classic "Where Do The Children Play," with his guitar playing recorded in London (before the U.S. government lifted the ban on allowing him into the country) and added to Dolly's track on her 2005 Those Were The Days CD. Barry Manilow is putting his stamp on Dolly's biggest-selling hit, it was announced Thursday. His Nov. 25 release The Greatest Songs Of The Eighties will feature a duet of "Islands In The Stream" with Reba McEntire. The song, released by Dolly and Kenny Rogers in 1983, was the biggest selling single of the year, moving more than 2 million copies in the U.S. Reserve your copy of Manilow's collection here. Dolly's record label website, www.dollypartonmusic.net, on Wednesday announced several developments for its meet-and-greet contest for members of its Dolly-ites online community in the fall leg of Dolly's Backwoods Barbie World Tour. No meet-and-greets will be offered for members attending either the Boca Raton or Jacksonville, Fla., shows, the site reported. Contest entries for Orlando will be accepted Thursday and for Atlanta on Monday. Entries are scheduled for Raleigh on Oct. 28 and Green Bay Nov. 11. Whether meet-and-greets will be offered for the other dates on the tour, and if so on what dates entries will be accepted, has yet to be announced. Generally, two Dolly-ite members are selected from entries to take a photo with Dolly before the concert. The Kennedy Center, which feted Dolly with its Honors two years ago, now dubs her "the country music goddess." The comment came Wednesday in a press release about this year's honorees, who include George Jones. In his biographical information, the Center noted how their duet "The Blues Man" paralleled Jones' own life and used the above phrase to describe her. Read the full release here. Dolly's Georgia partner in her Imagination Library literacy program, the Ferst Foundation for Childhood Literacy, on Monday celebrated the sending of its 1 millionth book in the state. Read more from The Moultrie Observer here. The Broadway delay of Dolly's 9 To 5: The Musical continued to garner coverage on Wednesday with mentions from BroadwayWord here and Broadway.com here. The Kiwanis Club of Richmond, Ky., is offering two center stage, row 6, seats for Dolly's Oct. 25 benefit concert in the city. The Club is seeking $500 each for the tickets, proceeds from which will go to the Club's children projects throughout the county. For more information, contact Ray DeSloover at 859-582-7300 or 859-624-1782, email raydesloover@coldwellbankerky.com. Alternative contact is Bob Lilly at 859-582-5764, email robertlilly@msn.com. Book publisher Putnam is starting to get a little information out about Dolly's upcoming children's book, I Am A Rainbow. The title is now scheduled for release on May 14, will be 32 pages long and will feature illustrations by Heather Sheffield. The publisher is promoting the book with the following tag: "Everyone has days when they feel happy, angry, or scared. Feelings come in many colors -- we've all been tickled pink, green with envy or just plain blue. Beloved performer Dolly Parton reminds kids that their feelings are natural but they can control how they express them." The 10 inch-by-10 inch tome will have a suggested U.S. price of $16.99 and Canadian price of $18.50 and a reading age suggestion of 3 to 5. Reserve your copy here! Thanks, Tony! Broadway bible Playbill on Tuesday night confirmed what was reported here a week ago: that the official opening of Dolly's 9 To 5: The Musical on The Great White Way has been pushed back a week to April 30. The publication also noted here that previews are also pushed back two weeks, starting at the Marriot Marquis Theatre in New York April 7 instead of March 24. In addition, it was reported that tickets will be sold exclusively to American Express Gold Card members beginning Oct. 29, with public sales starting Dec. 1. Dolly's stop on Monday in Clearwater, Fla., on the next leg of her Backwoods Barbie World Tour gets a profile in Tampa Bay Newspapers here. Thanks to Tony for alerting me as well that the much-anticipated (at least among the tween set) Hannah Montana movie will now come out in April instead of May, Disney has announced. Originally scheduled to bow May 1, the film is expected to hit screens on April 10. Starring Dolly's goddaughter Miley Cyrus, the picture will feature Dolly reprising her role of Aunt Dolly from the Disney television series. It got some airplay over the past week or so thanks to Dolly making some radio station calls and visits, but her single "Shinola" still hasn't gotten enough radio attention to land on the official Billboard charts this week, the magazine revealed Monday. However, that could change, as digital single delivery service AirPlay Direct issued a press release Monday noting that Dolly has signed up through the company to get the single out to radio stations around the world. Take a read here. After having gotten a week back on the British albums chart, last year's The Very Best Of Dolly Parton, Vol. 1 falls back off the 100 position pop tally in the U.K., down from No. 85 the previous week. Some more nice comments about Dolly's 9 To 5: The Musical come this week from LA's Entertainment Today here. The paper says "this rollicking musical will move to Broadway in the spring, and it is easy to see why: Dolly Parton has leveraged her role in the original film and more importantly her prodigious songwriting talent to craft a sassy and occasionally bawdy production." Meanwhile, over on GAC, the network notes on its website here that Dolly discusses her reclusive husband's influence on the musical in the new Robert K. Oermann book Behind The Grand Ole Opry Curtain that came out last week. Don't forget that the Judy Collins tribute Born To The Breed featuring Dolly hits stores on Tuesday! Get yours here! Thanks to Maggie for alerting me that Dolly's Sarah Palin joke that they're similar because they both come from small towns and both carry AK-47 assault rifles topped People magazine's celebrity quotes of the week here. Dolly's music video for "Shinola" from Backwoods Barbie once more remains at No. 2 on the Pure 12 Pack, marking its third consecutive week in that spot and fourth on the tally (it debuted at No. 1 on the Internet-voted countdown on CMT's digital music channel, Pure Country). Vote for it here! Also don't forget to vote for it on the Great American Country (GAC) Top 20 Country Countdown here! Fans looking forward to next year's major Dollywood expansion, Adventure Mountain, will have to wait a bit longer. The park announced over the weekend here that due to unexpected changes in the economy which have impacted the availability and cost of construction materials, the attraction will be postponed. It is now expected to open in 2010. Next season will focus on the park's festivals and shows. Le Grande Cirque is headlining the Festival of Nations with "Imagine'," and the park will also premiere "Sha-Kon-O-Hey!," a musical in celebration of the Great Smoky Mountain National Park's 75th anniversary featuring seven new songs written by Dolly (as was noted previously, an album of the songs will be sold next year to benefit the Friends of the Smokies). But the economy isn't stopping all development. The park is presently working on an overpass at its entrance which will connect the Dollywood parking lot and Dollywood's Splash Country parking lot, allowing the trams to operate through both, thereby expanding parking options. Thanks, Tony! The Very Best Of Dolly Parton, Vol. 1, Dolly's 2007 overseas compilation disc, has once again fallen off the Australian country albums charts. The CD dips out of the top 20 this week, down from No. 18 the last week. Dolly continued this week to sell well in Ireland, with her 2007 compilation disc The Very Best Of Dolly Parton, Vol. 1 scoring a 60th week on the Irish pop albums tally, rising five to No. 43. Thanks to Dawn for passing along two items on Friday. 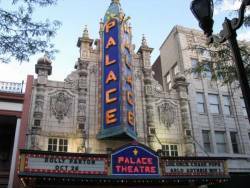 First, gossip guru Perez Hilton posted a brief clip from the promo video that the theatre is using for Dolly's 9 To 5: The Musical on his website here, and secondly, Dolly's "Shinola" won the "Hank or Stank" listener poll on Indianapolis station Hank 97.1 FM. Thanks, also, to Serena for alerting me that The Grand Ole Opry's website is presently offering a poll here of which country stars fans most would like to vote for president. Unfortunately, as of Friday evening Dolly wasn't getting many votes. Trace Adkins led with 46 percent, followed by Reba at 25 percent, George Jones at 18 percent, Dolly at 6 percent, and Brad Paisley at 2 percent. Dolly's Backwoods Barbie sticks around this week for a 31st week on the Billboard charts, it was announced Thursday in the Oct. 18 numbers. The disc dips eight spots to No. 68 country albums. Her 16 Biggest Hits remains steady at No. 52 country in its 52nd week. Another Dolly appearance pops up on the Box Score concert tally, although it's one from a while back. Her May 11 stop at the NOKIA Theatre outside of Dallas is reported with 98 percent of the 4,173 seats sold for gross ticket receipts of $270,505. Jessica Simpson's Do You Know, with Dolly harmony on the Dolly-penned title song, loses two to No. 7 country, 19 to No. 56 pop albums and 20 places to No. 57 comprehensive albums in its fourth week. In Canada, the collection falls three to No. 5 country and 20 to No. 70 pop. Patty Loveless' Sleepless Nights, with her version of Porter & Dolly's "The Pain Of Loving You," drops six to No. 33 country in its fourth week, holding steady at No. 46 Canadian country. George Jones' Burn Your Playhouse Down, including Dolly on "Rockin' Years," descends 10 to No. 56 country in its seventh week, falling out of the top 50 Canadian country after one week at No. 50. Emmylou Harris' All I Intended To Be, featuring Dolly on "Gold," drops nine to No. 57 country in its 17th week but rises two to No. 42 Canadian country. Brad Paisley's Time Well Wasted, with Dolly on "When I Get Where I'm Going," inches down one to No. 4 on the country catalog albums list and inches up three to No. 29 Canadian country. Eva Cassidy's Somewhere, with her cover of "Coat Of Many Colors," falls off the 50-position independent albums chart, down from No. 40 in its fifth week. Dolly worshiper Kellie Pickler sees her self-titled sophomore set debut at No. 1 country and No. 9 pop with 43,000 units moved in its first week, while Sugarland's Love on the Inside holds steady at No. 2 country in its 11th week and loses four to No. 22 pop. Dolly's creation "Jolene" was this week's choice for examination on NPR's "In Character" segment on its All Things Considered daily radio program on Thursday. The series has been discussing various famous fictional characters, so Dolly spoke of why her redheaded temptress is so universally appealing. Others who comment in the piece are Jack White of The White Stripes and Mindy Smith. Read a text version and listen to the complete audio story from the network's website here. Thanks to Aaron for alerting me to this week's Dolly interview via satellite from Nashville with south Florida's CBS-4 to promote her upcoming concert in the area. You may watch it here. And speaking of Florida, Dolly's record label website, www.dollypartonmusic.net, on Wednesday added a note that meet-and-greet contest entries will be accepted for her Oct. 20 date in Clearwater, Fla., starting 9 a.m. Tuesday. I would expect announcement very soon of when the other shows will begin accepting entries for the Dolly-ites contest for backstage passes. I understand that Dolly's charity fund-raiser concert later this month in Richmond, Ky., is down to its final dozen tickets: three in the $80 section that are together and nine single seats in the $120 section. Get them from Ticketmaster. Website The Frisky.com this week issued its own list of the world's 10 sexiest women in various categories, a response to Esquire's sexiest woman issue. Dolly was chosen as the "sexiest older woman," with honorable mentions going out to Sophia Loren and Helen Mirren. See the list here. Given today's uncertain economic climate, The Los Angeles Times thought it appropriate to create a list of the top 15 songs about "being broke," and they chose Dolly's "Coat Of Many Colors" to sit on the tally, noting "Parton was a fashion maven even back when her mom could only stitch rags together. " Read the whole list here. Another Canadian community joining Dolly's Imagination Library literacy program is highlighted in British Columbia's Terrace Standard here. Lending her voice to the political process, albeit in her usual non-partisan way, Dolly performed for a selection of dignitaries who included the current and four former governors of Tennessee during a pre-debate dinner Monday night at the Governor's Mansion in Nashville, The Tennessean reported here Tuesday. The audience of 400 also included one current U.S. senator, a former senator, national television journalists and members of the Commission on Presidential Debates. The two presidential candidates weren't present, but they were in town Tuesday night for their second debate. Thanks to Chad for alerting me that Dolly's "More Where That Came From" has returned to iTunes' top 100 country downloads chart thanks to its appearance in its second Target commercial that started airing a few days ago. The song clocks in at No. 95. Dolly's handbag auction to benefit breast cancer research has opened on eBay U.K. As of Tuesday evening, bids stood at £110 here. The auction ends Wednesday night British time. Other handbags for the charity auction are available here. Dolly is back on the phones plugging her current CD, musical and more. She called in at Asheville, N.C., station 99.9 Kiss Country Monday morning to discuss 9 To 5: The Musical (she noted that its official Broadway "opening" has been pushed back a week, with producers now aiming for April 30 instead of April 23), making a movie or musical based on her own life and even her Christmas shopping habits. Take a listen here. Thanks, Greg! The video for Dolly's present single, "Shinola," from Backwoods Barbie, holds on at No. 2 for a second week on the Pure 12 Pack, the Internet-voted countdown for CMT's digital music channel, Pure Country. The video debuted at No. 1 in its first week and is now in its third week on the tally. You may vote for it here! In related news, the video has been added to the voting page for rival Great American Country (GAC) and its Internet-voted Top 20 Country Countdown. Vote for it on GAC here! Speaking of charts, Dolly makes a return this week to the British top 100 pop albums tally, it was announced on Monday. Last year's The Very Best Of Dolly Parton, Vol. 1 makes an impressive leap of 104 points to re-enter the top 100 at No. 85, up from No. 189 the previous week. It's also the No. 1 country album – in fact it's the only country title in the UK top 100. Sales of commemorative coins by the U.S. Mint to benefit the American Eagle Foundation's conservation efforts at its Dollywood eagle sanctuary have raised more than $6 million in endowed funds, it was announced Monday. Coins, available in a gold $5 piece and silver $1 in addition to a copper-nickel clad half-dollar featuring the park's most famous bird, Challenger, will remain available from the Mint through Dec. 12. The organization hopes to raise $10 million from sales. Order them here. The Washington Observer-Reporter is comparing Rosie O'Donnell's upcoming variety show with series of television past, most notably Dolly's failed attempt in 1987 to revive the genre, noting "Rosie just may succeed where Dolly Parton didn't." Read the piece here. Special thanks to The Lane Twins for sending in some shots from their backstage visit Friday night to Dolly's 9 To 5: The Musical with their pal, Leslie Jordan (who won an Emmy for his role on Will & Grace and is hilarious on LOGO's new Sordid Lives: The Series). The guys tell me the show is much more polished than it was when they saw it on opening night of previews three weeks earlier. They tell me that the show has a new playbook out, which features a lot more photos and much additional Dolly info, although it's still not the full-sized book that will be released when the show opens on Broadway. Also, they were told that the cast album CD won't be released until after its New York debut next year. Check out their images, such as the one at left of the duo with Jordan and "Dorolee" Megan Hilty, here! Thanks again, Gary and Larry! Last year's The Very Best Of Dolly Parton, Vol. 1 appears once again on this week's Australian country albums chart, re-entering the 20-position tally at No. 18. Check out a great Dollywood travel story from The South Wales Echo across the Atlantic here. When one Maryland couple couldn't find a local nonprofit organization to head up Dolly's Imagination Library in their home area, they started one up themselves! Read about the new Forest Hills chapter from The Baltimore Sun here. If you missed Dolly's interview on Extra Friday, she spoke with Katie Cook about several career-related things, but the show really hyped her comments on Sarah Palin, calling her a cheerleader for the Republican vice presidential candidate. They cut away from her video during the interview to show photos when she delivered her punch line about she and Palin both carrying guns, which diminished the appearance that she was joking. However, if you watch the video of her comment that they posted on the show's website (embedded above) but didn't show in its entirety on the air, it is more evident that she wasn't being serious. The story even made CMT's blog here. In related news, the show is offering a contest for its members, called "Extra Friends," to win tickets to see Dolly in concert, meet-and-greet passes and autographed memorabilia. Sign up as a "Friend" here and then enter the contest! Thanks to Nashville radio station WSIX for alerting Dollymania to Dolly's appearance on their morning show, "The House Foundation," with longtime Music City personality Gerry House. During the interview, Dolly revealed that Sha-Kon-O-Hey is not only the name of an album she has written for the Smokies' 75th anniversary as its official spokesperson but also an entire show which will be performed at Dollywood. She again spoke of Alaska Gov. Sarah Palin, and once again appeared to make a less-than-serious comment about her which could easily be misconstrued, except this time it could be taken as a slam against her instead of an endorsement, as her previous joke on Extra was made to appear. When asked about the debates and Palin in particular, Dolly said that her physical attractiveness and "sparkly" nature make it easy for people to believe her even when she's lying. She quickly added, however, for the host to not drag her into politics because she avoids it and joked that she has to take a Valium before even shaking hands with a politician. However, she had very kind words for another politician, Tennessee Gov. Phil Bredesen, during the program. She also talked up her current single, "Shinola," which was played during the show, discussed 9 To 5: The Musical and took some listener calls. You may watch video of the entire interview in three parts from the station's website: part 1, part 2, part 3. A few charts outside of the U.S. updated their tallies on Friday, letting us know that last year's The Very Best Of Dolly Parton, Vol. 1 re-enters the Irish pop albums chart this week at No. 47 to log its 59th week on the chart across the Atlantic. Up north, Jessica Simpson's Do You Know, for which Dolly wrote and sings on the title tune, holds steady at No. 2 country and slips 18 to No. 50 pop in its third week on the Canadian albums charts. Brad Paisley's Time Well Wasted, featuring his Dolly duet, "When I Get Where I'm Going," loses five to No. 32 country. Emmylou Harris' All I Intended To Be, which includes Dolly guest vocals on "Gold," inches up one to No. 44 country, while Patty Loveless' Sleepless Nights, with her cover of Porter & Dolly's "The Pain Of Loving You," drops a dozen spots to No. 46 country. George Jones sees his Burn Your Playhouse Down, featuring Dolly on "Rockin' Years," debut at No. 50 country. Ken Bell, senior vice president of the Dollywood Company, on Thursday was named president of the company, it has been announced. In a press release, Dolly stated: "I am so proud of Ken. His leadership, new ideas and down home good sense are such an important role in the success of The Dollywood Company. He focuses on treating our guests and our employees with heart and hospitality, and that is what makes Dollywood and Dollywood's Splash Country such great places that just keep on growing!" Bell came on board in late 1985 as vice president and general manager of Silver Dollar City a few months before it was transformed into Dollywood. Read the release here and a story in The Knoxville News Sentinel based on it here. Dolly's recent appearances on The Tonight Show and The Ellen DeGeneres Show caused her Backwoods Barbie to re-enter the 75-position country albums chart after falling back off again. In Billboard's Oct. 11 tallies released Thursday, the disc comes in at No. 60 in its 30th chart week. Her 16 Biggest Hits dips one to No. 52 country in its 51st week. Jessica Simpson's Do You Know, featuring Dolly on the title track she wrote, falls two to No. 5 country and 19 to No. 37 pop albums and comprehensive albums in its third week. The CD falls off the 25-position digital albums list, down from No. 21 the previous week. New Canadian charts were not available on Thursday. Patty Loveless' Sleepless Nights, including a cover of Porter & Dolly's "The Pain Of Loving You," loses six to No. 27 country and falls off the 200-position pop albums chart in its third week, down from No. 144. George Jones' Burn Your Playhouse Down, featuring Dolly on "Rockin' Years," dips five to No. 46 country in its sixth week. Emmylou Harris' All I Intended To Be, with Dolly on "Gold," drops two to No. 48 country in its 16th week. Brad Paisley's Time Well Wasted, including Dolly on "When I Get Where I'm Going," rises one to No. 3 on the country catalog albums list, while 21 Number Ones by Kenny Rogers, with "Islands In The Stream," falls off the 25-position country catalog albums list from No. 22 the previous week. Eva Cassidy's Somewhere, featuring a cover of "Coat Of Many Colors," falls off the top 200 pop albums, down from No. 191 the previous week, and drops 13 to No. 40 on the independent albums chart in its fifth week. Darius Rucker's Learn To Love remains steady at No. 1 country and loses eight to No. 13 pop in its second week while Sugarland's Love on the Inside holds steady at No. 2 country in its 10th week and falls three to No. 18 pop. It was revealed nearly a month ago that Dolly had been selected as the official Ambassador for the 75th anniversary celebration of the Great Smoky Mountains National Park and had contributed a song to benefit the park, This week, more details came out. In a press release, it was announced that instead of one song, Dolly has written an entire album called Sha-Kon-O-Hey, the phoenetic spelling of "shaconage," a Cherokee word meaning "Land of the Blue Smoke," and will donate all proceeds from the CD to the Friends of the Smokies next year. Word on how to purchase the album has yet to be announced. The park superintendent noted in the release that Dolly will lend her name and face for events at the park, activities and publicity. "When we first sat down with our park partners and began brainstorming about how the Park's anniversary could best gain national stature we asked ourselves," Superintendent Dale Ditmanson said. "'If we could pick one person who is the most recognized and personifies the love of the Smokies, who would it be?' The answer was a resounding 'Dolly Parton! But she's so much in demand; do you think she'll do it?" In the release, Dolly noted: "The Smokies are part of my DNA. I have always been an Ambassador, but I am particularly honored to become 'official' for this special 75th Anniversary." Read a story from The Seymour Herald based on the release here. Check out an Associated Press summary here. The 9 To 5: The Musical coverage continues this week. West Hollywood News interviewed star Megan Hilty here, The Gay and Lesbian Times reviewed it here saying, "With bounce, sass, a little skin here and there and women on a mission, there's no way 9 To 5: The Musical can fail." The Pasadena Star-News in Pasadena, Calif., said here the show "is such a highly entertaining comedy one can view it more than once." And The Palisadian Post in Pacific Palisades, Calif., opined here that Dolly "contributed her delightful sense of humor" in the songs, praising all of the actors and singling out Kathy Fitzgerald, who plays "Roz," as giving "the most delightful performance." The Destin Log gives a great profile of Dottie Rambo's manager Larry Ferguson here this week, discussing his book Driving Miss Dottie, written prior to her recent death in a bus accident which severely injured Ferguson, and how blessed he was to have her as part of his life. He notes he plans to soon write another book about their time together and how life is proceeding without her. One more critic thinks Dolly's 9 To 5: The Musical is amazing. LA Observed posted its review Wednesday, and while it agreed with several others' reviews that a few songs could be cut and the first act needs tightening, the show was noted as having "the elements of a likely hit: addictive music, reliable characters, mesmerizing sets, well-placed humor and lots of heart." Read the full review here. Get ready for some old time religion! Dollywood opens its annual National Gospel and Harvest Celebration Friday. Dozens of artists will perform more than 250 concerts during the festival, which concludes Nov. 1. Dollymania.net: The Online Dolly Parton Newsmagazine (www.dollymania.net), the Internet's oldest continually operating resource about Dolly Parton, today celebrates its 12th anniversary. The fan-operated site began in October 1996 as Duane's Dolly Pages, a section of the personal site of webmaster T. Duane Gordon, making it 12 years since its original creation. It was re-christened Dollymania in October 1998, making it 10 years since launching under that name. "It's hard to fathom the site has been going on for that long," noted Gordon, 33, of Middletown, Ohio. "I estimate it's taken up 15,000 hours of my life during the past dozen years! I'm sure most people find that excessive, but it's my hobby, my way to wind down after a hard day at work. Some folks collect stamps, some run marathons and I run a Dolly site!" Today, the site serves as the primary source of information about Parton for thousands of fans around the world and averages more than 250,000 monthly page views. At a 2006 appearance at Dollywood, Parton expressed her appreciation to Gordon. "I want to thank you right in public for being so good to me," she told him in front of more than 1,000 fans at the park. "I'm sure anybody wants to know anything about me you can ask Duane. I have to call him to see what I'm gonna do next!" The Web has a few dozen fan-operated sites about Parton, but Dollymania.net is the sole one updated on a regular basis, offering readers a daily update on its news page Monday though Saturday. In addition to the daily news page, the site boasts the largest collection of Parton photographs ever published, containing more than 9,000 images in approximately 900 individual galleries, and the only published list of all of the songs she has released in her career, with the nearly 1,000 titles listed both alphabetically and chronologically. Its more than 12,000 individual photographs, html pages and other files total nearly 500 megabytes. Gordon, who holds a degree in communications and journalism from Mississippi State University, created the site while a news editor at a suburban Jackson, Miss., newspaper. He continued to update it after changing jobs to work at a nearby charitable foundation, relying on the site to keep his journalistic skills up-to-date. In January, he moved to Ohio to become CEO of another charitable foundation, although he still continues his nightly ritual of maintaining the website. For most of Dollymania.net's existence, Parton did not have her own website. Consequently, her management and record label often used Dollymania.net in lieu of an official site. It was the first to announce a few CDs and a couple of tours. Parton used it several times to release official statements to her fans. In late 2007, an official website launched for her new record label, Dolly Records, making www.dollypartonmusic.net her first "authorized music website." Over the years, Dollymania.net has been used as source material for newspapers and magazines around the world in addition to programs on CMT, CNN's Larry King Live, the U.S. Library of Congress and even Parton's current official tour book. For the past two years, Gordon has also written a weekly "Dolly Column" for The Smoky Mountain Herald, a daily newspaper in her home county, Sevier County, Tenn., where Dollywood is located. Read the press release on the anniversary here from Yahoo News and here from PR Web. Thanks to Jeremy to alerting me to a special Dolly section in Knoxville's Metro Pulse magazine. He says the print edition runs about 20 pages and includes quizzes, quotes and more. The online edition features the special section "Dolly World: An Appreciation (and Celebration) of All Things Dolly" here. It includes an overview of her life and career here (although the writer didn't care for Backwoods Barbie), a timeline of her life here, a selected discography with reviews of a handful of definitive albums and singles here, a story on the current DollyPop exhibit in Los Angeles here (with a gallery of art pieces from the exhibit) and a cute "What Would Dolly Do" column here offering her sage advice from various interviews.